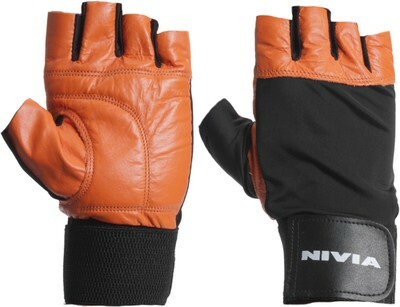 Nivia has made this pair of gym gloves from high quality premium leather. 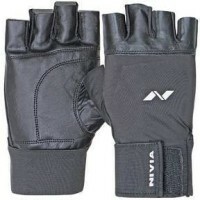 These Nivia Fitness Gloves come with an adjustable wrist wrap so you get the perfect custom fit that feels not too tight or loose and gives you a great grip. 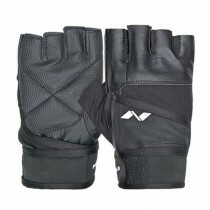 Designed with a half finger design for greater control, these finger less gloves have a padded palm that protects your hands while lifting weights.